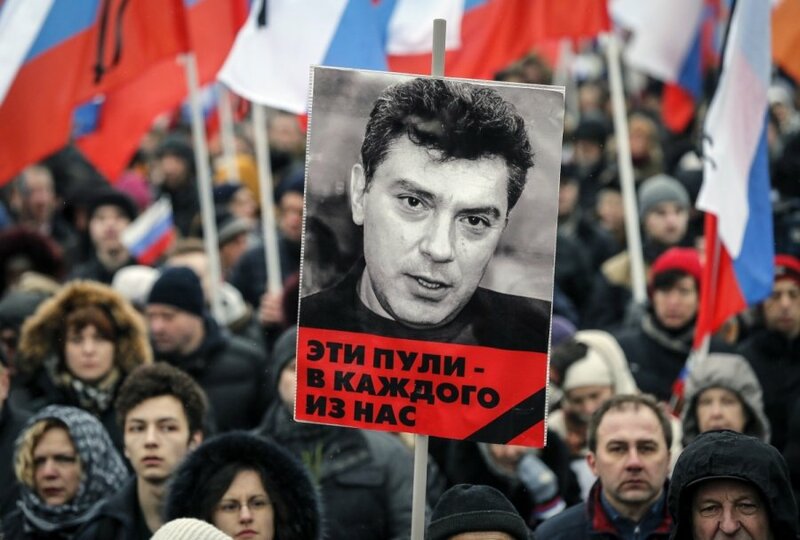 Assassination of opposition leader Boris Nemtsov was a shocking wake-up call for many all over the globe. Circumstances were more than eloquent – bullets hit Nemtsov right in front of Kremlin and merely one day before the planned protest march. Naturally, all Western eyes turned to Russia’s president Vladimir Putin. However, opinions divided immediately – some admitted that this shooting was totally useless for Putin, so it’s not worth looking for the roots of crime in Kremlin; other said that it was impossible to happen without Putin standing behind it. However, even those who do not directly point their fingers at Putin still admit (reasonably enough) that he is responsible to a certain extent – mainly for creating an atmosphere where dissenters are persecuted, and it was especially escalated by Putin’s regime from the beginning of the war in Ukraine. These opinions do not change much after announcing that the suspects of Nemtsov’s murder have been arrested. So we have none other than Putin to blame. But isn’t it a simplification of the situation? Does it actually tell anything not only about Nemtsov’s assassination but also about the current Russia in general? Especially now, when it is clear that the arrested men are related to Chechnya’s president’s Ramzan Kadyrov’s closest environment, while Kadyrov himself not only admitted that he was personally acquainted with the main suspect Zaur Dadayev, but also started to publicly defend him and other individuals who supposedly committed the crime which Putin called a specially organized provocation. What does the arrest of the suspects show? After such circumstances emerged, the opinion still prevails in Lithuania and the West that the arrested men are merely ‘scapegoats’, and their arrest is just a way to shift the focus from the real culprits. At least two of the suspects were long-standing members of ‘Sever’ battalion, and retired the day before Nemtsov’s murder. Not surprisingly, Kadyrov stood up to defend Zaur Dadayev and Beslan Shamanov. Because ‘Sever’ battalion is basically Kadyrov’s private army, security service and firing squad put together. ‘Every order will be executed, because otherwise it will result in obviously harsher sanctions than failure’ - this is how this battalion is described by Alexander Cherkasov , a famous human rights activist in Russia, and looks like he’s not exaggerating. Not less important is who leads the ‘Sever’ battalion. It’s Aliben Delimkhanov, brother of Russian Duma member Adam Delimkhanov and the relative of Kadyrov (some say they’re cousins). Kadyrov has publicly called Delimkhanov his successor. Moreover - Delimkhanov’s name is linked to the liquidation of almost all enemies of Kadyrov - no matter if the murders took place in Russia or abroad . In 2014 US included Delimkhanov into the sanction list - not because of Russia’s aggression in Ukraine but for the fact that Delimkhanov is a part of international mafia network ‘Brother’s circle’. However, Putin’s regime has granted Kadyrov and Delimhkanov with the status of untouchables. This fact, after another order to release the suspects of the crime (lower significance than Nemtsov’s case and less personally connected with Kadyrov and Delimkhanov - aut.note), has made FSB central office make a huge scandal and threaten to leave their service. What is more - ‘Novoya Gazeta’ announced that Putin had been informed that the organizer (not customer) of Nemtsov’s murder was major Ruslan who was working in Chechnya’s law enforcement and whose close relative holds high position in the same structures. It did not take long for Russian opposition and media to find out that Ruslan’s surname sis Geremeyev. One uncle of Geremeyev is Vacha Geremeyev, head of internal affairs at one of Chechnya’s regions; another uncle - Suleiman Geremeyev - is a member of Russian Federation Council. And the aforementioned Delimkhanov is also a close relative. If it wasn’t enough, Geremeyev has also been linked to the same famous cases as Delimkhanov. All of it proves that Putin actually had no idea about the planned attack against Nemtsov, and the investigators are not looking for ‘scapegoats’ because they are targeting the closest environment of Kadyrov. Both ‘Novaya Gazeta’ and other media channels and members of the opposition are now talking about the battle between Kadyrov’s environment and Russian special services who will not go down easily. And Putin, as the real godfather of mafia, will have to choose between sides. Moreover - after turning out that foreign citizens from Kadyrov’s environment can be related to Nemtsov’s murder, Putin’s power was sort of shaken. The rumours started spreading that one or another character was about to resign. Firstly, Sergey Ivanov’s sudden disappearance from the public eye and then the disappearance of Putin himself incited theories about the upcoming (or already occurred) revolution against Putin. It was allegedly organized (or already executed) by Ivanov. Such situation reveals a lot about the clan structure of Kremlin’s government that I have addressed many times in my previous articles. In this structure Putin is not the autocratic leader who makes unquestionable decisions, but merely a godfather of mafia. It gives even more pabulum to analysing the darkest forces in Russia after the aggression in Ukraine has started. However, although it is not pleasant to admit, it looks like many of these experts and commentators around the world do not try to analyse much but rather react to the rumours emotionally or announce new sentences to Putin’s regime which, as I stated in previous articles, should have been recognised not only as criminal-mafia, but also terrorist a while ago. Today I will not try to defend Putin either. He is a godfather of the current regime, so he is in any case responsible for what is going on in today’s Russia. And not only for this incredibly incited hatred atmosphere in the country. But it is necessary to analyse Nemtsov’s assassination in the contexts of Putin’s Russia: its government structure and main power figures, law enforcement and criminal world, and Putin’s alleged autocracy. In this instance, I completely agree with Mark Galeotti, one of the most famous experts of Russia in the West. In his comments on Nemtsov’s murder he emphasises one main point: lack of ‘neutrality’, objectivity and analysis. Worth comparing to Kirov’s murder? However, some of the famous Russian experts go into details and draw shocking conclusions. Karen Dawisha, professor at Miami University, uses historical parallel in her discussions about Nemtsov’s assassination, especially in the light of the recent book ‘Putin’s Kleptocracy: Who Owns Russia?’ which gathers impressive amount of facts about criminal aspect of Putin’s coming to power. Dawisha, like some of the other commentators, including one of the best experts of Russia – Edward Lucas (whom I respect very much) - argues that Nemtsov’s murder is very similar to that of Bolshevik leader Sergey Kirov in 1934 (it’s worth emphasising that this analysis was published before arresting the suspects). It is thought that Kirov, who was allegedly a competitor to Josif Stalin, was murdered under the order of Stalin himself, and the assassination was used as a pretext for the so-called Great Purge. Speaking about this seemingly unreasonable (at least in my opinion) parallel, we can agree with Galeotti that Putin doesn’t even need any pretext if he wants to start a bigger-than-usual campaign against his own state. 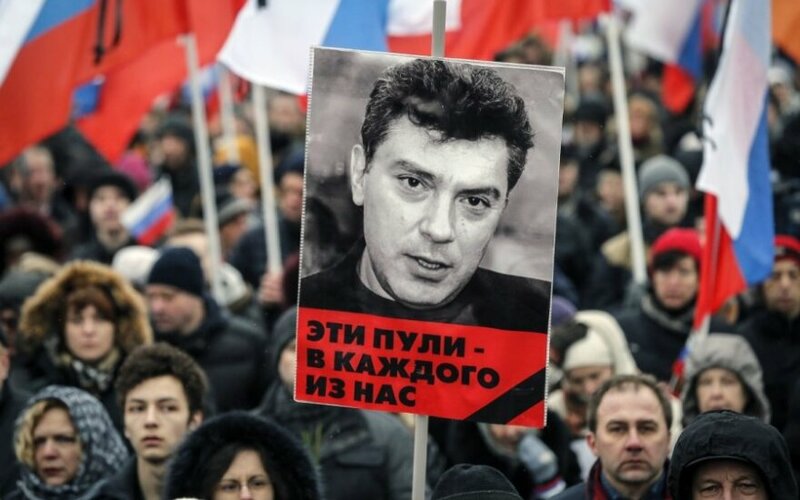 It’s even more difficult to deny the fact that Nemtsov was nowhere near similar to Kirov. It can be argued if this very charismatic figure, who always made a big impression on the Western world, was a threat to Putin’s regime (I personally believe otherwise). But one fact is clear – he could not be seen as Putin’s rival even theoretically – neither now, nor in the remote future. If we stick to this parallel, there should have been someone other instead of Nemtsov - at least someone from the current government clans (say, deputy Prime minister Dmitrij Rogozin, head of presidential administration Sergey Ivanov, or defense minister Sergey Shoigu). Later on, leader of other influential clans should have been arrested and convicted of murder, hence strengthening Putin’s autocracy. But is anything like this at least theoretically conceivable in current Putin’s Russia? Has Putin ever physically exterminated members of his regime? Yes, during Putin’s reign there were some political opponents or journalists who were killed, allegedly because of digging too deep into dark stories around Putin’s ruling and coming to power. Even a few generals were murdered under very mysterious circumstances (we’ll get back to that later), but it’s really hard to remember any instance of regime killing any of its members or opponents who have not posed any actual threat. On the contrary - we can remember one totally opposite case. Dmitrij Rogozin, who has gained a lot of influence recently and can be seen as one of the main architects of the war in Ukraine, was completely politically destroyed a couple of years ago when Putin appointed him the Russian ambassador to NATO which meant complete political exile. It is no secret that this political destruction of Rogozin happened because of the same reason why Kirov was killed – then-leader of ‘Rodina’ party and the party itself was starting to pose threat to Putin’s government. However, Rogozin managed to return to the government with triumph, and resumed so much power that he could actually compete with a very influential defense minister Shoigu. . Truth is, this influence was cropped again, but we’ll get back to that later. In the meantime it is important to understand that these cases, at least in my opinion, demonstrate that Putin’s and Stalin’s regimes and governance techniques cannot be compared. So it can be predicted that even Kadyrov and Delimkhanov will not end up in prison, although it is difficult to imagine that the suspects of Nemtsov’s murder could have acted without their knowledge. The aforementioned battle between Kadyrov’s environment and Russian special services can end in defeat of Chechnya’s leader and his closest comrades. Especially when Kadyrov has enemies not only in Russia but in Chechnya’s neighboring republics. Hence, theoretically they could lose power (although it could wreck the illusion of stability created by Putin for many years), but truth is that such demonstrative trials are highly unlikely. But let’s get back to the committed and attempted murders. During Putin’s reign not only president’s opponents were seen as targets. The most famous example are these three: in 2002 Valentin Tsvetkov, the governor of Magadan region, was shot and killed in the centre of Moscow (New Arbat); in 2005 attempted murder was performed against Anatoly Chubais, head of ‘JES Rosiji’; in 2006 Andrey Kozlov, the deputy chairman of Russian central bank, was killed in Moscow. None of these men could be called the critics or opponents of Putin’s regime. And even the biggest critics of Putin do not tend to link these crimes to him or to Kremlin in general. However, the are now some people who believe that Tsvetkov and Kozlov, together with Nemtsov and such fighters as Yuri Shchekochikhin and Sergei Magnitsky, fell prey to Putin’s regime. Mixing everything together is not useful because it doesn’t help us understand what Putin’s regime is really like, what is actually happening in Russia, and how Putin acts and deceives people. But let’s stop at these crimes. Especially because all of them are basically solved - unless we argue whether the real customers were found or something still remains a secret. So looking back at these crimes, the first and main conclusion is that even the most resonant murders in Putin’s Russia can be committed without the knowledge of the highest government. Moreover - it can have nothing to do with any of government clans or Russian special services. On the contrary - these cases show that there are certain forces in Russia that dare to challenge the regime or at least pay minimum attention to it when taking care of their criminal business. As can be seen from the public material from the investigation and the court, Tsvetkov was murdered because of some mafia-related business interests; Chubais was attacked by the servicemen from ultranationalist faction acting under the command of Vladimir Kvachkov, the retired colonel from GRU, and Kozlov’s murder was ordered by Aleksei Frenkel, a manager of ‘VIP-bank’ (not a very influential one). Interestingly, looks like in all cases killers were assisted by various representatives from Russian secret services and law enforcement. For example, killers of Tsvetkov and Kozlov had access to telephone conversations of official people which has helped prepare for the crime. However, there is no basis to link these crimes to the interests of people having actual power. If you have good relationship with Russian special services or law enforcement authorities, asking for such a ‘favor’ is no big deal. This case was perfectly illustrated by the story written in ‘Moskovskij Komsomolets’ newspaper in 2011. In 2009 during another investigation (Kozlov’s case was already closed by then), it turned out that Sergey Kosarev, head of one legal consultancy firm, ordered Kozlov’s telephone tapping to the interrogator. Surprisingly, such surveillance actually happened, and the results were presented to the group of crime organizers. There were even more versions of certain representatives of law enforcement or special services contributing to this crime, but neither Kremlin nor separate government clans were suspects in this murder. Moreover, there was more evidence that certain crime groups were behind Frenkel’s assassination. This, as well as the connections of the suspects of Nemtsov’s murder, points to nothing else than the criminal nature of this regime when the borders between criminal world and official services are unclear. At the same time it becomes clear that some criminal powers in Russia, that have no influence in the government, dare to challenge Putin’s autocratic control with such crimes as killing Kozlov and attempted murder of Chubais. Unless we stick to thinking that killing the deputy chairman of a central bank and attempting murder of Chubais, one of the most influential members or this regime, can be done without Kremlin’s ‘blessing’ while it’s suddenly not applicable to the leader of the opposition. Nemtsov could be killed by bandits? The latest information about the complete blending of Russian special services and mafia was published in London during the investigation of Litvinenko’s assassination. It turned out that Litvinenko was preparing a dossier about Viktor Ivanov, one of the closest comrades of Putin and the Director of The Federal Narcotics Service of Russia, and his links to mafia and illegal drug trade. Even more testimonies - also about Putin’s connections - are published in the aforementioned Dawisha’s book ‘Putin’s Kleptocracy: Who Owns Russia?’. They have also been addressed by various other authors numerous times. It is enough to mention that singer Jodif Kobzon, who is considered to be a godfather of Russian mafia and who lost his right to enter USA, is still a respected member of Russian State Duma. Moreover, Viktor But, who is a symbol of gun smuggling, enjoyed close relations with Kremlin during the periods of Yeltsin’s and Putin’s presidency. But it is important to understand that such blending of criminal world and law enforcement is visible not only in the highest level, but also in the middle and even the lowest levels. In such case, even Vladimir Ryzhkov’s (activist of Russian opposition) version about Nemtsov’s assassination (announced immediately after the event) would make sense. Ryzhkov did not use any apocalyptic versions and prophecies for Russia which supposedly changed a lot because of Nemtsov’s murder. Ryzhkov claims that there is a strong possibility that Nemtsov was killed by Yaroslavsky bandits who had some unpleasant business with him. Moreover, there is one more person who accepted this possibility at first - Aleksey Navalny, another leader of the opposition, although he suggested paying more attention to the theory that Putin had ordered this crime. What is revealed by Antonov’s experience? Even now, when the suspected crime executors are arrested and announced, ‘Novoya Gazeta’ posted an article about who is reporting to Putin about this crime. In the article it says that the investigators were seriously investigating the footprint of Yaroslavl, and even questioned the governor of the region. We cannot reject the possibility that Nemtsov was killed for non-political reasons - even now when the interrogation is still in process. At least because Delimkhanov was mentioned in many cases before, and all of them only had mafia or asset motives. One of such cases is related to Antonov family which is related to the bankrupted ‘Snoras’ bank. Alexander Antonov, father of ‘Snoras’ co-owner Vladimir Antonov, was attacked in March 2009 in Moscow. The reason for the attempted murder was the litigations regarding 106 million dollars, and Delimkhanov’s name emerged very distinctly in the case. By the way, the crime executors were arrested and sentenced. They were Chechnya’s citizens Aslambek Dadayev, Elim Pashi, Khatsuyev Asayev and Timur Asayev. Just like in Nemtsov’s case, there is no information about their close relations to Delimkhanov or other close environment of Kadyrov, and crime organizers were officially not found. Is mafia version too routine? Too few accusations for Kremlin? At least in my opinion, it looks like Russian reality and the aforementioned cases of Kozlov’s murder, Antonov’s attack and many others provides enough evidence for such version to be acceptable. Or maybe some people think that Russian bandits, who are obviously helped by law enforcement, would think that it is a bigger challenge and risk to kill Nemtsov than the deputy chairman of Russian Central Bank or Alexander Antonov who had many connections in Russian security services? But let’s get back to the version that Nemtsov was killed by the members of radical ultranationalist groups. This version was also published and verified in ‘Novaja Gazeta’ - a newspaper that is famous for exposing crimes and investigations of Putin’s regime. ‘Putin moved historical forces that are stronger than him and impossible to control. Earlier Kremlin found it difficult to control liberal opposition, but now it is becoming increasingly difficult to control his own followers who are not happy with the results and want everything here and now’ - wrote ‘Novaja Gazeta’ in a deep analysis of Russia’s situation. The same newspaper formulates one of the motives very similarly even after the suspects have been arrested, and information announced about who could have organized the crime. ‘Everything else is a clear signal to Kremlin: ‘Russian patriots are tired of waiting; enemies should be destroyed; enough procrastinating; if you don’t do this, someone else will, but then you’ll be dependent on us, and you will have to reckon only on us; we are that force that will defend your weakness, and the job of protecting the state from enemies, that even your special services can’t handle, should be properly rewarded’, - wrote ‘Novaya Gazeta’ in the article about who reports to Putin about the murder. Lucas did not reject the possibility that Nemtsov was killed by even more radical forces from the very start. But he claimed that the version that Nemtsov was killed by ‘dark forces outside of Kremlin’ would be even scarier than the one which compares Nemtsov’s assassination to that of Kirov’s. But is this terror really new? Yes, after the war in Ukraine has started, Rusia witnessed the emerging forces of various ultraradical groups. And looks like they are stronger than ever. But let’s remember the attempted murder of Chubais - it was performed in 2005 by one ultraradical group led by GRU’s retired colonel Kvachkov. This crime was investigated by the group of a famous interrogator Igor Krasnov. Jury trial somehow acquited Kvachkov and his comrades, although no one in Russia had doubts that they were responsible for the crime. Kvachkov still ended up in prison for organizing a military rebellion in 2011. But his organization ‘Minin’s and Pozharsky’s People Army’ was recognized as terrorist group by the court in the middle of February this year . So would it really be surprising for Putin’s Russia if Nemtsov (who was considered to be Chubais’s comrade back in the day) was killed by this or any other similar group - not controlled by Kremlin and even preparing a military rebellion against Putin’s regime? Would it really be anything new if it was done by forces related to Kadyrov and Ivanov who were also allegedly preparing a revolution against Putin? And could Nemtsov’s murder be considered a new threat if the investigator Krasnov, who was immediately and very eloquently assigned to investigate Nemtsov’s assassination, has investigated another resonant and bloody clime by ultranationalist group - the killing of the lawyer Stanislav Karkelov and journalist Anastasia Baburova in 2009. Speaking about ultranationalists in the context of Putin’s Russia, it must be noted that they also constantly die or are killed under very suspicious circumstances. In 2010 right before the paratrooper rally against the Defense minister Anatoliy Serdyukov, one of the closest companions of Kvachkov - general-lieutenant Grigoriy Dubrov - fell off the platform under a running train. During the same days Boris Debashvili’s (another general-lieutenant) corpse was found on the street in Moscow. In the meantime, Russian airborne troops commander Vladimir Shamakov had a very odd car accident when his car was hit by a heavyweight ‘MAZ’ truck from the ongoing lane. But the most famous murder of a general who had similar views was committed back in 1998 during Yeltsin’s reign. On July 3 general Lev Rokhlin was assassinated - he was a member of the State Duma who had supposedly been preparing for the military revolution against Yeltsin. In 2011 the information about this revolution was publicly confirmed by Rokhlin’s closest companions. But these plans of Rokhlin and a major part of other servicemen were interfered by a mysterious assassination of the general. Surprisingly, his wife got all the blame for this incident while no one in Russia has doubts that this crime was ordered by government representatives who saw Rokhlin as a threat. Even Alexander Lukashenko, the president of Belarus and a long-time supporter of Rokhlin’s politics, had warned Rokhlin about the imminent attack numerous times. Interestingly, a former minister and Duma’s member Mikhail Poltoranin, who was also a journalist, had publicly blamed Putin for being the direct organizer of the crime. This version is spread widely by Rokhlin’s companions. It is hard to tell if these accusations have actual basis but one coincidence is obvious - Putin rose to power right after this murder. Putin was suddenly appointed the head of Federal Security Service by Yeltsin on July 25, 1998. Before than Putin had not been linked to any Russian security services. More that a year later, he became prime minister, and later on was declared Yeltsin’s successor. Another interesting, yet forgotten, details is that Putin was seen as a ‘member of Chubais team’, in other words - a natural born enemy of ultranationalist forces. Be that as it may, in the context of Nemtsov’s assassination it is not really important whether Putin was directly involved in Rokhlin’s murder - more important is the fact that being the head of FSB he must have been aware about the actual threat posed by the ultranationalist generals. Mysterious murders of the aforementioned generals in 2010 suggests that Putin was actually afraid of these forces rather than willing to collaborate with them. By the way, Kvachkov was convicted for organizing a military rebellion in 2011 by Putin’s regime. A few conclusions can be made: powerful ultranationalist forces have existed in Russia for a long time - a war in Ukraine made them even stronger and courageous. History shows that these forces were never under government’s control during Yeltsin’s or Putin’s reign, and were never completely loyal to the regime. The aforementioned analysis of Nemtsov’s murder printed in ‘Novaja Gazeta’ confirms these conclusions saying that the situation in Russia is much more complicated than it is considered in the West where Putin is seen as the central axis of Russia who controls absolutely everything, and nothing in Russia can happen without his approval. But it doesn’t mean that Putin is so weak and inconsiderate that he would allow such forces to strengthen to a dangerous level. Stories about suspicious deaths and murders of generals would sort of reaffirm it. It is safe to say that my predictions came true. The ongoing principled battle with Shoigu regarding ‘Rosoboronzakaz’ ended in Rogozin’s defeat . Moreover, Putin started to personally control the military-industrial commission which was under Rogozin’s wing before. This is how Rogozin lost two of his very important fields of control, and it significantly limited his influence - both official and unofficial. Another member of Rogozin’s clan - oligarch Konstantin Malofeyev (one of the architects and sponsors of the war in Ukraine) suddenly had renewed problems with law enforcement - the investigation of VTB bank was activated again. There were also speculations about Malofeyev’s house search but there is no official information that can confirm or deny it. Another member of the group - fascist ideologist Alexander Dugin (who was seen as Putin’s ideologist last spring) - was returned to his rather marginalized role. Knowing all of this it would be logical to predict: if the versions that Nemtsov’s murder was related to some non-system ultranationalist groups proved to be true, there might be a more serious battle. And that gives hope that Nemtsov’s case can be solved. But that wouldn’t make Putin any less dangerous - we need to learn it once and for all. Putin wouldn’t become any less dangerous if not only executors but crime organizers were sentenced (though it’s highly unlikely). Because it would not be a triumph of justice, but rather a result of a battle of power. He wouldn’t be less dangerous even if Nemtsov wasn’t killed in the first place. Although human life is invaluable, speaking of Putin’s regime it is worth realizing that its essence and threat is revealed not by one or another resonant crime, but the system itself. It is a system where government and criminal worlds are merged together. A system where such criminals as Delimkhanov, Kobzon or Loguvoy (killer of Litvinenko) demonstratively become lawmakers. And Ivanov, director of Federal Narcotic Control Service, has been accused of illegal drug trade. Western world, including Lithuania, paid minimum attention to all of this, waking up only when something terrible happened and then falling back to sleep. Another important discussion is whether this assassination marks a certain new stage in Russia itself and in Putin’s regime. Does it mean that the situation in Russia is changing? If so - what can be expected? These questions were partly answered by those who noticed historical parallels with Kirov’s murder. But even after discussing the strong impossibility of such parallels, some questions still remain open. There is a solid basis for such statement. No leader of the opposition was ever killed in Russia - even if he was merely one of the leaders. Murder has never taken place in front of Kremlin, and no murder, especially such a resonant one, was ever performed by the uncontrollable ultranationalist groups (if this versions proves true this time). But are there really any limits that haven’t been crossed by this regime before? Can there be any boundaries to the government that bombed civil houses to regain power, and took lives of hundreds of innocent citizens? If we still consider these accusations a conspiracy theory, the question remains - can there be any boundaries for the regime that killed Alexander Litvinenko with radioactive polonium in London - one of the finance centres of the world? Can there be more lines to cross for the regime that killed tens of its opponents, including journalists? And in this case it is not really important if Putin and Kremlin were involved in Nemtsov’s attack. Even if it turned out that ultranationalists are responsible for it - it would still be a logical piece of state’s picture that was created by the current regime. Murders became a part of this regime long time ago, and human life is absolutely worthless. So it is sometimes tough to explain why this exact incident caused such reaction when many other horrible cases were somehow overlooked. It’s worth to remember it when the smoke around Nemtsov starts clearing out, and the tense situation in Russia calms down.